When Izzy went to bed, she never expected to awaken to disgrace. Of course, it felt wonderful ... warm hands on her flesh, rough stubbled skin on her cheek. It all seemed some wonderful dream. But that hardly mattered to the ton. To them, she was ruined, for Lord Eppingham Julian Rowley had been discovered in her bed, and she'd claimed him as her own. Why had she done it? Why had she brought ruination to her name and dishonor to her family --- dishonor that could only be erased by marriage? She had not wanted to trap the handsome rake in wedlock. Though she might fall forever into his golden-brown eyes, marriage to any man was not something she sought. Nor had she acted from any true fear of the ton's disdain. It had been something in Julian's touch, his kiss. Something had called out for her to guard him, to place herself in the way of his ruin. If to save this man meant to be fallen, so be it. And in saving him, she just might save herself. 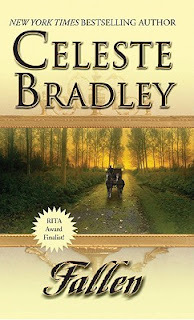 Celeste Bradley's novel Fallen swept me off of my feet with delight and laugh out loud dialogue. It is an absolutely amazing book full of relatable characters. Izzy, the main female character, is full of gumption. 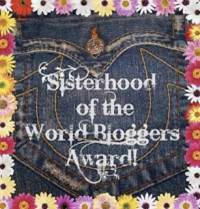 Readers will fall in love with her quick wit, her optimistic attitude, and her selflessness. She has a beautiful personality that no one will be able to resist, including her love interest. Julian, Lord Rowley, has had a tough childhood. Always being compared to his brother - who seemed perfect from birth to death. Julian tries to makes his family proud, but is constantly cast as the black sheep. He's a firm believer that love does not exist though he is generous and kind. He is a bit on the selfish side, but the supporting cast of characters help him evolve into the best man he can be. Readers will connect with him through his strive to be a good son and heir. The childhood troubles he survived will also tug on the hearts of readers, making the bond even stronger. The plot brought Bradley's humor into full swing! From bantering to bargaining, this novel will have every reader laughing. It's a fresh look at how a lady (accidentally) finds a husband whose worth whatever it takes. Though the book's story is a bit long-winded (the characters are so stubborn! ), it was well worth it.